My name is Buddy. 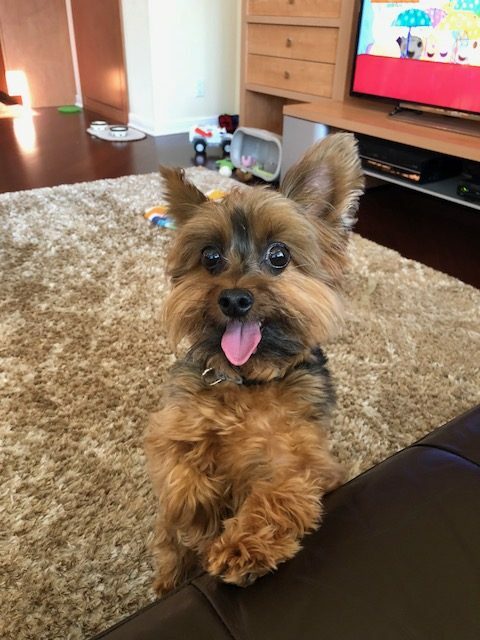 I am a very social 10-year old Yorkie. My best friend is Ian, my parents’ 5-year old grandson. We play “fetch” & have races. I always give away Mommy’s hiding place when she plays hide-and-seek with Ian. Congratulations to “BUDDY” and The Daniels Family for being voted Calusa’s May 2018 Pet of the Month!